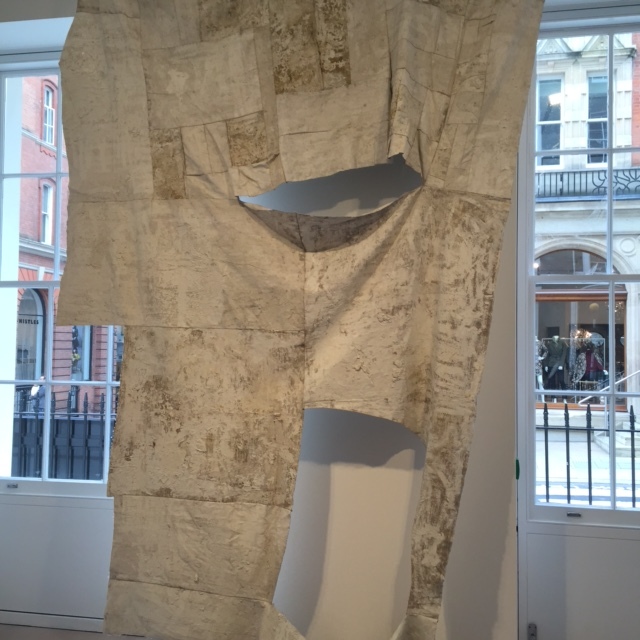 A short visit in London, highly recommended, the Oscar Murillo’s first exhibition at David Zwirner gallery in London; includes new paintings and drawings as well as sculptural, sound, and film elements. A strong exhibition, which I found incredibly poetic. 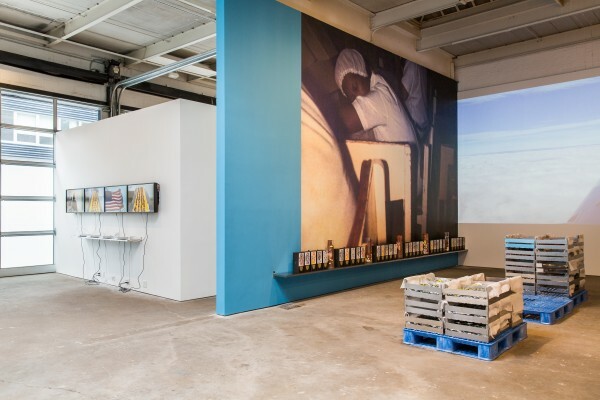 The exhibition includes a new video projection that depicts a street scene in Murillo’s hometown of La Paila, Colombia, in which people are seen chatting, drinking, and dancing to live music. Filmed by the artist on New Year’s Day, its footage shifts between documentary and experimental styles, using both wide-angle and detail shots that, at times, abstract the figures’ bodies into a chaotic arrangement of imagery, color, and movement. 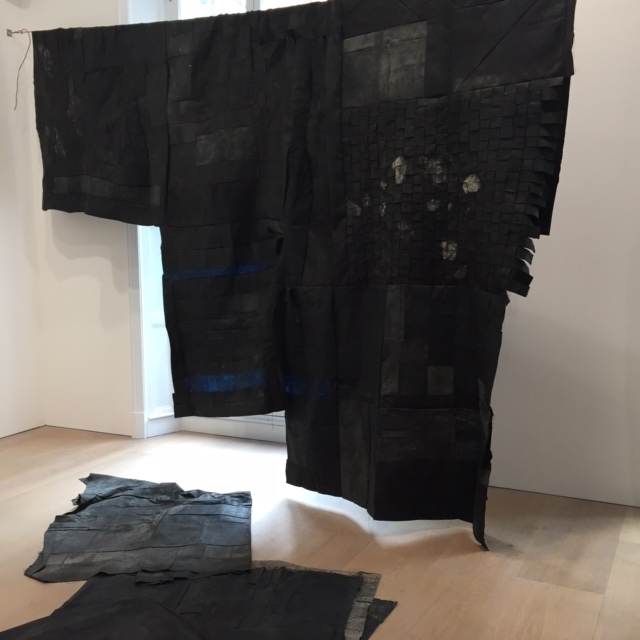 Oscar Murillo was born in 1986 in La Paila, Colombia. He lives and works in London, where he earned his B.F.A. in 2007 from the University of Westminster, followed by his M.F.A. in 2012 from the Royal College of Art. 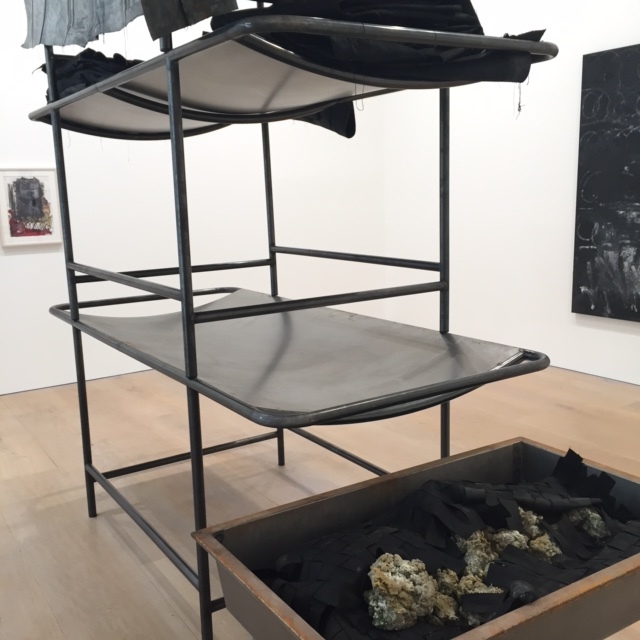 In 2013, the artist joined David Zwirner. 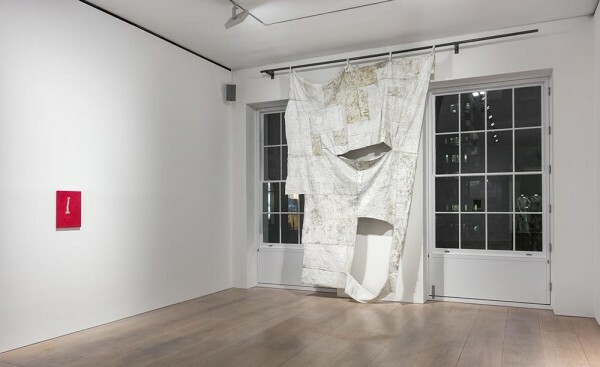 His first gallery solo exhibition, titled ‘A Mercantile Novel’, was presented at David Zwirner, New York in 2014, on 19th street, where Murillo converted the Chelsea space into a fully operational candy factory, modeled on the one in La Paila, importing everything from actual workplace signage to a real production line. 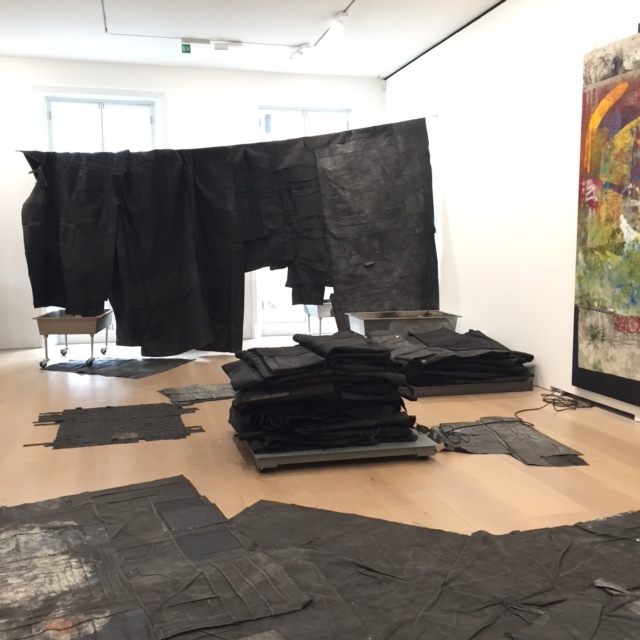 The gallery will host a conversation between Oscar Murillo and Jack Tan at Frieze art fair on Saturday, October 17, at 11 am.